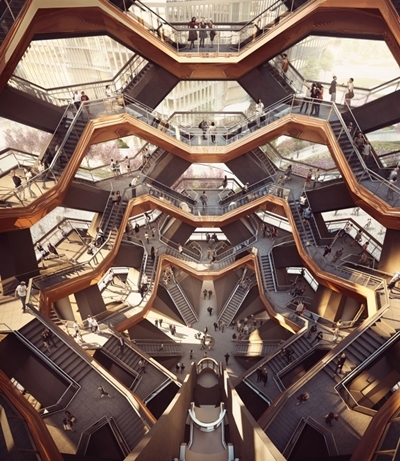 ‘2019: A Monumental Year’ is the new global initiative designed to spotlight New York City as a must-visit destination in 2019, when several large-scale developments and openings are set to debut, along with new hotels, attractions, dining, retail, culture and more. NYC & Company will be in Australia 30 July – 3 August with a delegation including Empire State Building, New York Hilton Midtown, One World Observatory and the Museum of Modern Art, for a series of trade and industry briefings and events. New York City welcomed 62.8 million visitors in 2017, the City’s eighth consecutive year for record-breaking tourism, with 49.7 million domestic and 13.1 million international visitors. Australian visitation in 2017 totalled 693,000. New York City remains the number one US destination for international visitation, visitor spending and economic impact. In 2018, the destination is expected to welcome 65.1 million visitors. 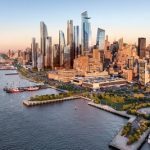 Some of the major new large-scale developments coming to New York City in 2019 include Hudson Yards on Manhattan’s far west side – the largest private real estate development in the history of the United States; The Shed, a multi-arts centre dedicated to global displays of visual art, design, media; and Vessel, a climbable urban landmark created by British designer Thomas Heatherwick. 2019 will also see the opening of the new Statue of Liberty Museum, expected to debut next May and the opening of the TWA Hotel at JFK Airport in Queens. While in November 2018, Staten Island will welcome the opening of the 100-store Empire Outlets, NYC’s only outlet destination, on the St. George waterfront. The Museum of Modern Art (MoMA) is undergoing a renovation and expansion that will increase gallery space by 30 per cent and will enhance public spaces. The first phase of renovations is now complete and the next phase has an estimated completion date of mid-2019. The National Gallery of Victoria is currently showing a selection of works from MoMA as a result of this renovation. For the first time ever, WorldPride will come to the United States with New York City hosting the month-long event 1–30 June, 2019 (the majority of events will be held 25–30 June). The LGBTQ celebration coincides with the historic 50th Anniversary of the Stonewall Uprising, the birthplace of the modern gay rights movement. “With an abundance of blockbuster openings across New York City and the historic 50th anniversary of Stonewall, 2019 will truly be a monumental year,” said NYC & Company Senior Vice President of Global Communications Chris Heywood. “We invite LGBTQ travellers and their allies to make a year-long pilgrimage to the City in 2019 to support this historic milestone,” he said. 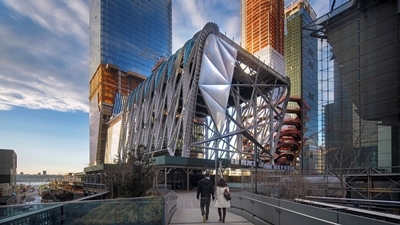 New venues to attract meetings and convention delegates debuting in 2019 include The Glasshouse, set to be one of NYC’s largest private event spaces with two outdoor observation terraces overlooking the Hudson River; and the 33,000-square-metres Verizon Executive Education Center at the Roosevelt Island Cornell Tech Campus, which will offer a venue for academic conferences, executive programs and academic workshops. This year has also been defined by several new openings. Domino Park recently debuted on the Williamsburg waterfront on June 10. On June 30, Coney Island’s New York Aquarium will welcome the opening of the new Ocean Wonders: Sharks! exhibit. The reimagined Seaport District’s Pier 17 recently opened with new programing and future rooftop events, all part of Lower Manhattan’s continued revitalisation. The recently launched NYC Ferry now has four routes, servicing South Brooklyn, Long Island City, Astoria and the Rockaways in Queens. The same cost as a one-way subway ticket (AU$3.70), the new ferry service connects locals and visitors to different neighbourhoods throughout the City. Future routes will include the Lower East Side and Soundview in the Bronx, both coming in summer 2018. Once complete, 21 total landings will be connected (ferry.nyc). “New York City is continually evolving with so much change taking place over the next 12 months. We are thrilled to be in Australia to highlight the changes in the NYC landscape and feature the aspects of the city visitors will be asking to see”, said NYC & Company’s Managing Director, Tourism Development, Established Markets, Reginald Charlot. New York City has the most active hotel development pipeline in the country, with 117,300 hotel rooms and an expected inventory of nearly 137,000 hotel rooms by the end of 2019. NYC currently has the highest occupancy rate (88 per cent on average) and the highest average daily room rate in the nation. The City has seen 40 consecutive months of increasing room demand, with a record 38 million+ room nights anticipated to be sold before year’s end.